Starting out growing things of your own can be a daunting task if it’s your first time. I am a firm believer that having a green thumb is not something that you are necessarily born with, like being a talented musician. Rather it’s something that can be built up over time with experience, observation, and enthusiastic interest. And having the correct information and knowing how to plan is one of the key cornerstones to success. Especially as let’s admit it, I doubt we’re all gifted with massive balconies or garden spaces. Space is a limiting factor when it comes to gardening and food growing. Therefore you really need to consider 3 key things when you’re planning your growing space for the coming season. 1. What to grow and when, 2. what grows well together, and 3. how to put all of this together in your growing space. Narrowing it down to a manageable combination of plants is one of the things that most gardeners will always fail at. But I really urge you to think about this sensibly. In the beginning, it’s all fun and games ordering 25 varieties of seeds, and beginning to sow them. It all seems so under control as you prepare your first seed trays, and observe your little green babies bursting through the soil. But trust me when I say, a few weeks down the line when it becomes a horizontal Tetris game of balancing growing babies and limited space, things start to get a bit hair-raising and overwhelming. Suddenly all those babies are needing individual pots (and space and sunlight), and you’re convinced you can manage this, you’ve got a handle on the situation! You don’t need to sacrifice any of the 50 tomato plants that you have been growing. You will find adoptive parents for your new babies….Trust me I’ve been there- it got so crazy once that whenever I went to visit a friends place for coffee I would find myself eyeing out their sunny windowsills and inevitably striking a deal for that sunny alcove. Now, of course, things are a bit different if you’re in the Northern Hemisphere and coping with springtime snow and late frost dates. Being originally from South Africa, this space and light struggle just never crossed my mind. 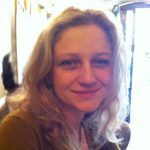 And then I moved to Europe and began managing Café Botanico’s garden, whilst growing for my own balcony and Schreber garden (allotment). That’s when the windowsill crusades began. And trust me when I say, it’s only the beginning. As, unlike when I used to grow professionally in large market garden spaces, urban gardening is faced with realistic space constraints. If you think you’re struggling in the early spring germination stages, it’s only going to get worse come late spring when you’re getting to planting out. And suddenly you realize that your balcony or garden actually can’t even begin to accommodate all the tomatoes you have, let alone the 25 other plant varieties you currently have occupying half of your friend’s windowsills. Don’t get me wrong, we’ve all been there- and we’re all going to go there. And being a gardener and getting that green thumb a deep shade of emerald green is all about trial and error and learning from your successes and failures. But inevitably it’s always nice to have a bit of foresight and to plan. So to start off, I would recommend writing a list of around 6-8 varieties of vegetables that you want to start out growing, alongside a few herbs and leafy salad greens, and perhaps some flowers. If you need a recommendation on some good easy plants to start with check out our other article 15 easy things to grow and why. Now I know when you’re looking through seed catalogs in spring you want to try and grow all 5 varieties of basil that are on offer and that limiting yourself can seem heartbreaking in it self. But remember you don’t want to overwhelm yourself. Rather start small, have a great season where your new gardening hobby is not your new stress point (because what would be the point of that), and feel successful! 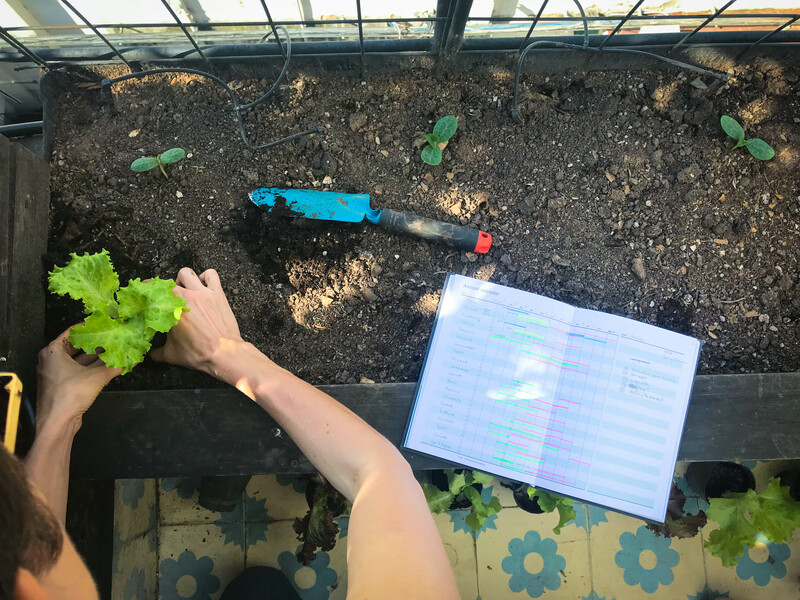 Once you have the list of your desirable favorites, the next thing to do is to start to plan out the dates of ideal sowing time, and estimated time to harvest. The best way to do that is to create a calendar coloring in when they start, the growing duration time and when the expected harvest date is. If you’re keen, check out our complimentary Annual Planting Calendar. We’ve created this exactly for this purpose.It will really help you gain an overview of what needs to be sown when and your transplanting dates. Now you can see that perhaps your late sprouting broccoli goes into your growing space (pot, bed or containers) a lot later then say your early spring salad. Or that you need to get your peas in as early as possible, but your harvest of them will be over way before the summer is out. And therefore you can plan to get another crop in after your peas for example. Therefore maximizing your space efficiently. Combined with the companion planting chart (discussed in the next section), this will then help you to plan your space overall. Have you ever wondered why people recommend you plant basil by tomatoes or onions with cabbages? Well, that’s because some plants do better with other plants, therefore helping each other to grow well! Some plants help disguise the smell of another plant due to their specific flavonoid compounds. Others attract beneficial predatory insects because of their flowers. There are many reasons for these combinations having been identified. To list them all would be a whole article in itself. For example, cabbages tend to attract whitefly, but one way to keep them at bay is to disguise the smell of the cabbages, and onions or leeks can do this fantastically! Nasturtiums grown by your other plants that normally would attract aphids will draw the aphids away. Sure you sacrifice a nasturtium or two, but to have aphid free tomatoes without having to spray them every day- well in my opinion that’s just a win-win. Other plants simply can’t stand being near each other, with the one plant dominating the other very quickly and possibly killing it off. In container gardens it of course depends on what size of a container your working with. If you are working with large containers (like balcony planters or bigger crates), you could for instance have nasturtiums growing on the edges of your pot. Or if you work with individual small pots, then you can simply place a pot of nasturtiums in between the other pots. Therefore a good companion planting chart can help you to see which of your plants can go next to, or in between each other, and which should be kept well away from one another. One other thing to mention that is worthwhile is that some plants overall are just brilliant to grow as they aid your garden overall. For example, marigolds help keep slugs and snails out of your gardens beds, whilst fennel attracts predatory insects that will keep other pests at bay. Once you’ve got your information from the above points, you’re nearly there for a fantastic season! The next step is quite fun. Grab yourself a cup of coffee or tea, a paper, and pencil and go and sketch out your growing space. Try and do a good estimate that realistically represents the space. Enjoy drawing it- have fun and make it as beautiful and creative as you like. One thing I would recommend but this is entirely up to you, write in the dimensions, and maybe even convert them for instance where 2 cm represents 1 meter in your garden space. This might be a bit much for some- but others love these kinds of cartography exercises. Then once you’ve got your final drawing, create a photocopy or two of it so that you have it for the next season. This way you will have a map when you’re done with the next steps, which you can look back on when you’re planning your growing space again in the future. As perhaps you want to do rotational growing, and ensure that tomatoes are not grown in the same spot the following year. And trust me, you can’t always remember where you put those tomatoes. 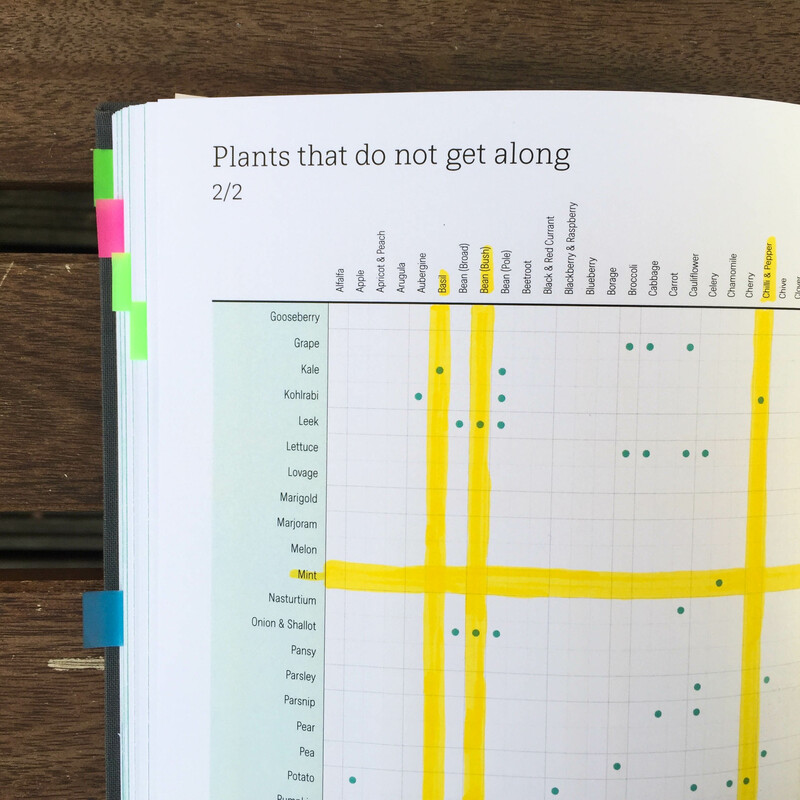 So, once you’ve got your space drawn up, then you need to look up ideal growing spaces between your plants, write them in next to your companion planting plan that you’ve created, and have fun creating a beautiful puzzle where you slot the plants in. So, for example, you want to grow zucchinis but only have one 2-meter square bed? You are only really going to be able to grow 4 zucchinis in that space- so therefore maybe you only need 8 seedlings at the end of your germination spring phase to be on the safe side. At the end of this, you should have a nicely drawn up chart of your plants planned into your space, and a list of roughly how many seedlings for each variety you aim to have through germination. This is essentially the groundwork that then you can begin to build your garden work around. 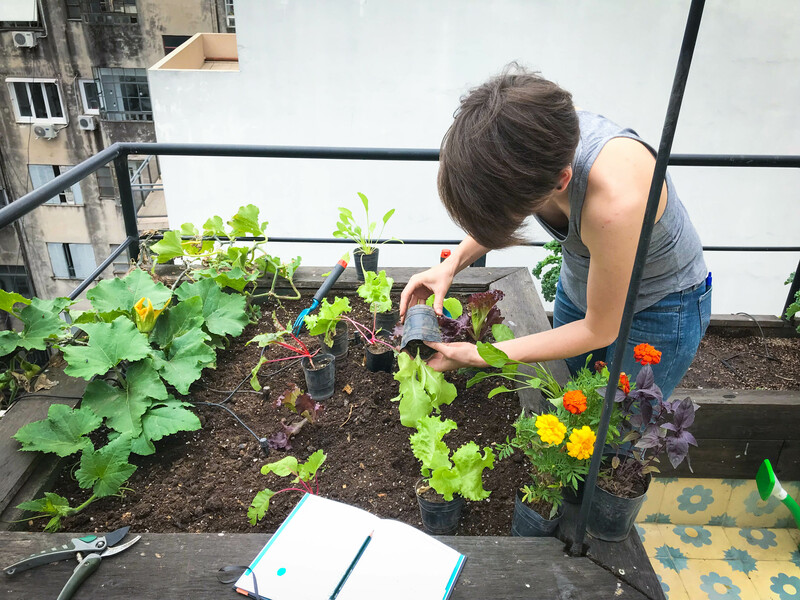 Having an overview of your space, the companion planting possibilities and how you can vertically integrate crops to occupy spaces at different times will ensure that you have a fantastic growing space that will literally wow your neighbors and friends! Additionally, all of this information is crucial to your being able to hazard a guess at how things are looking season wise. Going in blind sometimes with only the information on your seed packet to help you can really be a bit overwhelming in the later seasons. Rather start early, take it slow, and dream up a beautiful garden plan during those winter months. 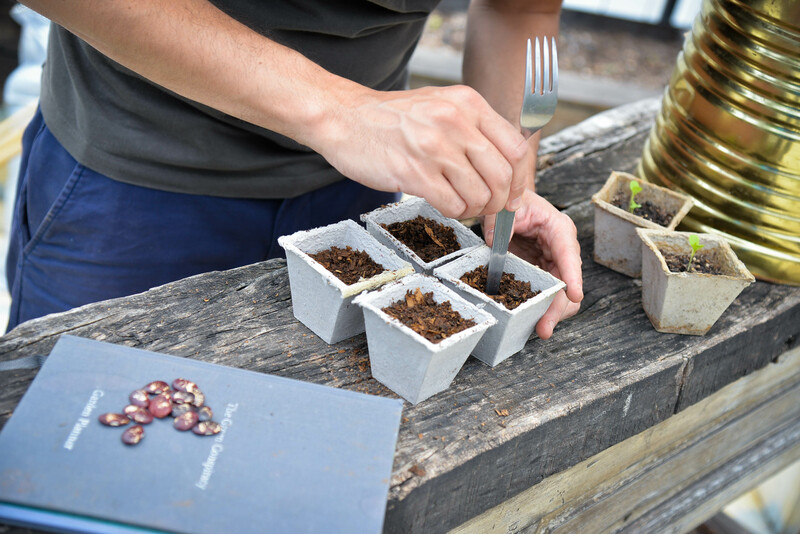 Then when your sowing and germinating all the babies, whilst their growing you can spend the early spring season researching and learning little gardening hacks and tricks to ensuring healthy happy plants, and a great summer!